The big question on this project came from the clients at the initial meeting: what form does a house take that is both contemporary yet reflective of traditional Mediterranean design? 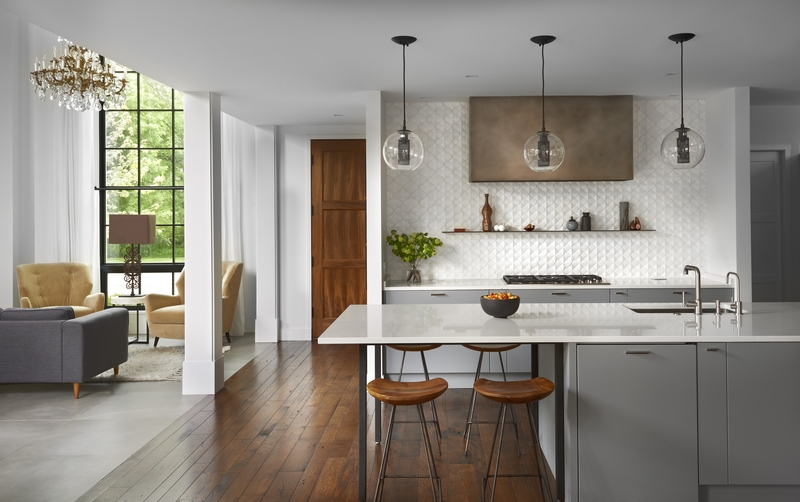 With a husband of Lebanese descent and a wife who has spent much time in the region, the answer to that question was at the heart of this project. Delving into architectural history ended up defining the answer. Italian Rationalism of the 1920s, itself a derivation of Renaissance concepts, with an emphasis on logic and simplicity, became a launch pad. 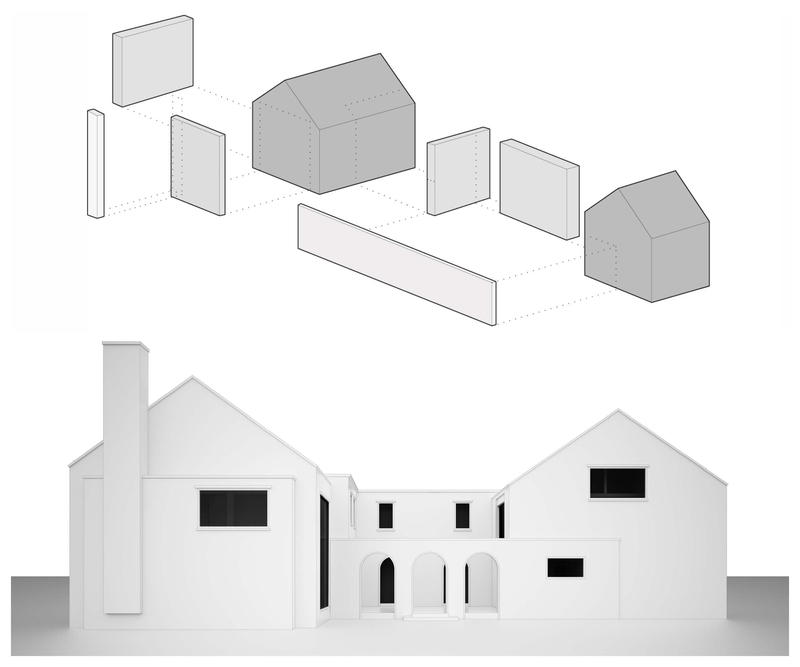 The house is an amalgamation of basic volumes. 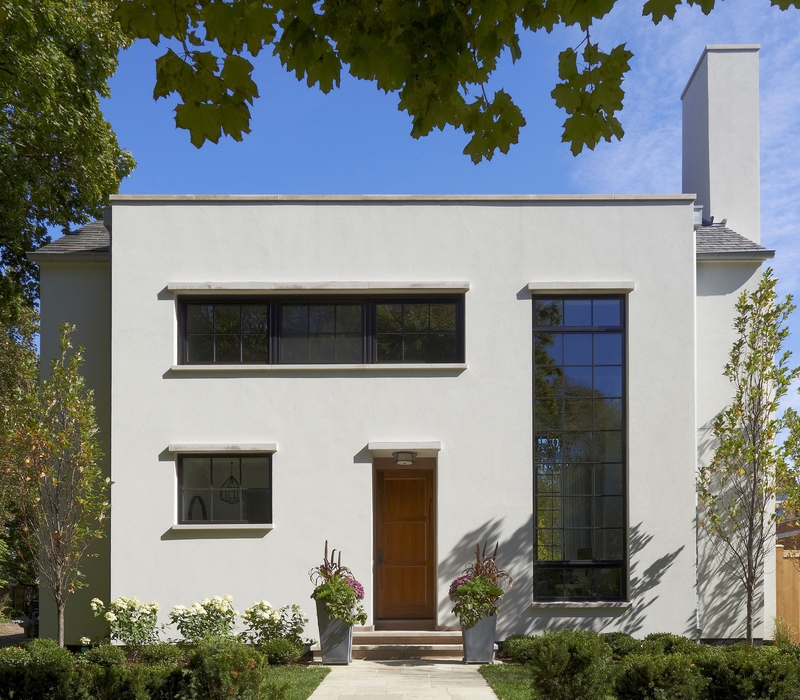 The stately façade establishes the house within Evanston’s Ridge Historic District yet features a modern twist. As one approaches the house, the classic gable roof disappears from one’s sightline; the defining view instead becomes a projecting cubic volume. Detailing throughout is traditional in spirit but streamlined. The open interior wraps around a central courtyard and reflects a contemporary lifestyle. Extra height spaces invited the addition of over-scaled windows to bring in sunlight without compromising privacy. The house sits near Evanston’s center and various public transit lines, a suburban rarity. The site once housed a warehouse and effectively was a brownfield that required extensive soil remediation. Thick walls with extra insulation minimize energy costs and noise from the busy street. Now home to a toddler, the house was built under strict V.O.C. limits. Reclaimed lumber, salvaged ironwork, and shingles composed of recycled tires are key materials. Windows are tinted and triple paned to minimize heat gain and to sound transfer. Suspended LED strips discretely illuminate the great room’s locally sourced wood ceiling.